The basic design of the classic 'Series' Land Rover is now almost fifty years old, and in some ways it shows. Even a very late Series III can be a pain to live with. But help is at hand - Glencoyne Engineering can provide a number of upgrades and enhancements to make your older Land Rover easier to live with. It is possible to turn a 'Series' vehicle into something you can use every day - this guide will show you some of the ways in which this can be done. Parabolic springs One of the worst features of most 'Series' vehicles is the bone-jarring ride. This is not entirely the fault of Land Rover. These vehicles use multi-leaf springs with oil-filled dampers, which were pretty standard technology when the vehicles were developed. When in good condition they work well enough, although they tend to be rather bad at absorbing very large bumps. But they deteriorate badly with age: rust forms between the spring leaves and stops them sliding smoothly against each other, which locks the springs solid. This kind of deterioration does not usually result in an MoT fail, so there are many thousands of Land Rovers running around on really terrible springs. Recent advances in leaf spring technology provide an answer in the shape of parabolic springs, which are widely used on new vans and trucks. These have a smaller number of thicker leaves which are specially shaped and touch only in the middle and at the ends. They do not suffer from the rusting problems of standard springs, and have a longer travel, providing a better ride on bumpy ground and more traction off road. They are available from several suppliers in a variety of different load capacities to suit different uses. They should be fitted in conjunction with uprated dampers to make the most of their superior ride capability. I am now able to supply complete Bearmach parabolic spring kits with heavy duty dampers, U bolts, shackle plates and springs - ask for prices..
Alternator charging Series II and IIA vehicles used a dynamo and separate control box to keep the battery charged. This was industry standard in the '50s and '60s, but has long since been superseded by alternator charging, which delivers more charge at low engine speeds - important if you find yourself stuck in a traffic jam after dark, in the rain. Series III vehicles had alternators fitted as standard, and it is a simple and worthwhile job to upgrade from dynamo to alternator charging, especially if you plan to use your vehicle after dark, or want to fit power-hungry accessories such as heated front windscreens. Brake upgrades 'Series' vehicles have acquired a reputation for poor brakes. Once again, this is not really the vehicles' fault - much of the perceived poor performance is caused by lack of maintenance and the use of cheap substandard replacement parts. However, the braking system design underwent several changes over the years, so it is worth looking at the various differences to see what can be done to upgrade the older vehicles. 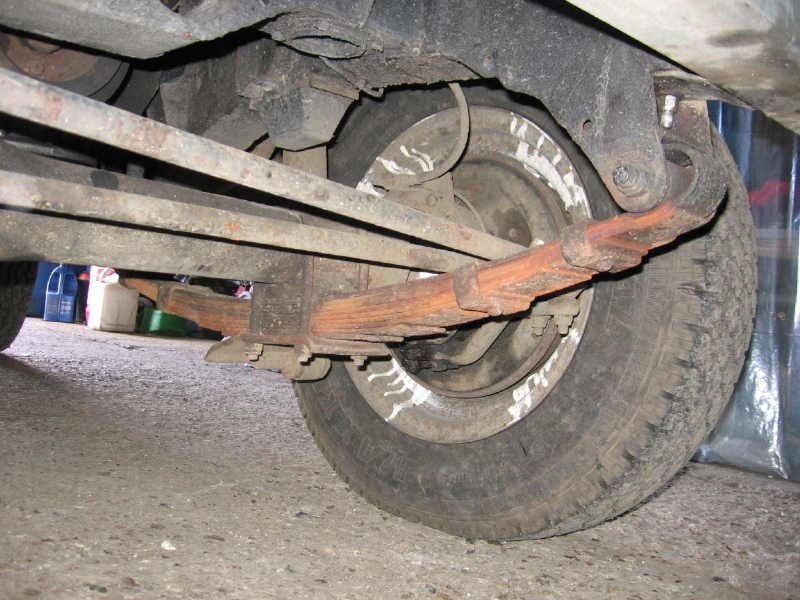 Most 'Series' vehicles had one of two types of braking system. 109 inch vehicles, and 88 inch from mid-1980 onwards, had 11 inch front brakes of the twin leading shoe (TLS) type. This is a pretty good system and when in good condition should be more than enough for most people's needs. Pre 1980 88 inch vehicles had 10 inch single leading shoe (SLS) brakes, which are a little more marginal. They will cope fine with a lightly laden vehicle driven at modern speeds, but emergency braking, downhill and fully laden, may find them wanting. Having said which the 10 inch SLS brakes seem to require less maintenance than the 11 inch TLS system and are a lot simpler to work on. 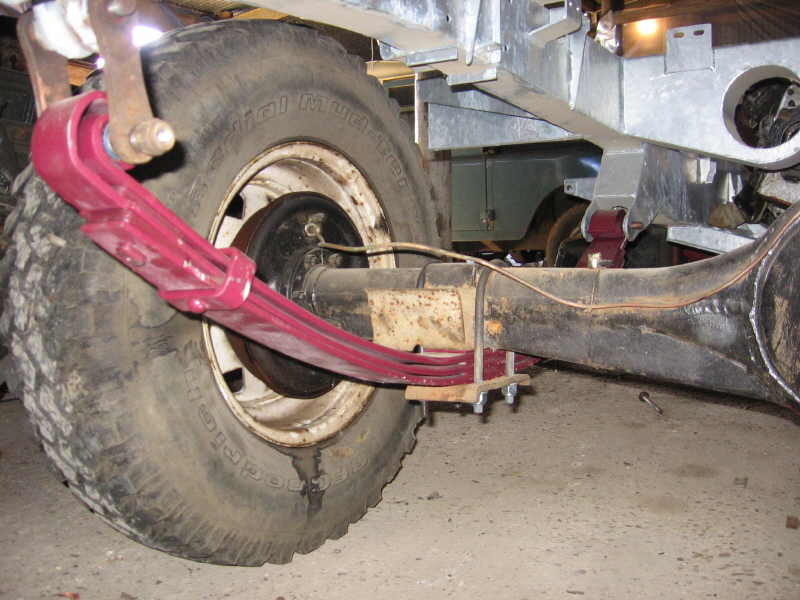 It is possible to convert earlier 88 inch vehicles to the TLS system, but the brake master cylinder will need to be changed to the 109 inch type. Servo assistance was available as an option on the 109 inch Series III, and was fitted as standard to Station Wagons and to later 88 inch vehicles. With a servo fitted the brakes require far less pressure to operate, and in modern traffic conditions it is well worth having. It is possible to retrofit a Series III brake servo to almost any 'Series' vehicle, but it really needs to be fitted in conjunction with the TLS front brakes. Land Rover never made servo brakes available with the SLS system, so there is no suitable master cylinder available. To fit a Series III servo to a Series II or IIA, the offside front wing needs to be cut back, and a new underwing mudshield fitted. As an alternative, it is possible to fit an aftermarket in-line servo, which avoids the need to cut the wing and allows the vehicle to be returned easily to original unmodified condition. This option will work with the SLS brakes. Noise reduction There are two different ways in which this can be tackled. The traditional - and cheapest - way is to use sound-deadening felt, which is glued to the bulkhead, seatbox, underside of the bonnet and sometimes the inside of the rear body, combined with heavy rubber floor mats. I have never been keen on this stuff - it tends to peel away at the corners, looks quite scruffy in a short time, and if you need to remove it for any reason it falls to bits and leaves a horrible hairy mess stuck to the inside of your Land Rover. My own Series III has an acoustic matting system from Wright Off Road. This consists of a one piece cast polyurethane mat which covers the floors, footwells and transmission tunnel, and another piece which covers the seatbox. It makes a huge difference to noise levels, can be hosed down to get rid of the mud and looks great. A bit fiddly to fit, but highly recommended. Heated front screens The standard 'Series' heaters are not great, and their demisting performance is especially feeble. It is now possible to replace the standard front windscreens with electrically heated items, which use very fine filaments embedded in the glass, like a lot of modern cars. Brilliant for cold winter mornings, and by blanking off the standard demisting ducts you will find that the performance of the heater is improved. Better seats It is always nice to have a bit of comfort on a long journey, and the original 'Series' seats do not provide it. There are various options available, but my favourites are either the high back seats available from Exmoor Trim (which fit the original Series seat frames and runners) or a set of seats from a later Defender, which are not too difficult to fit in place of the original seats. 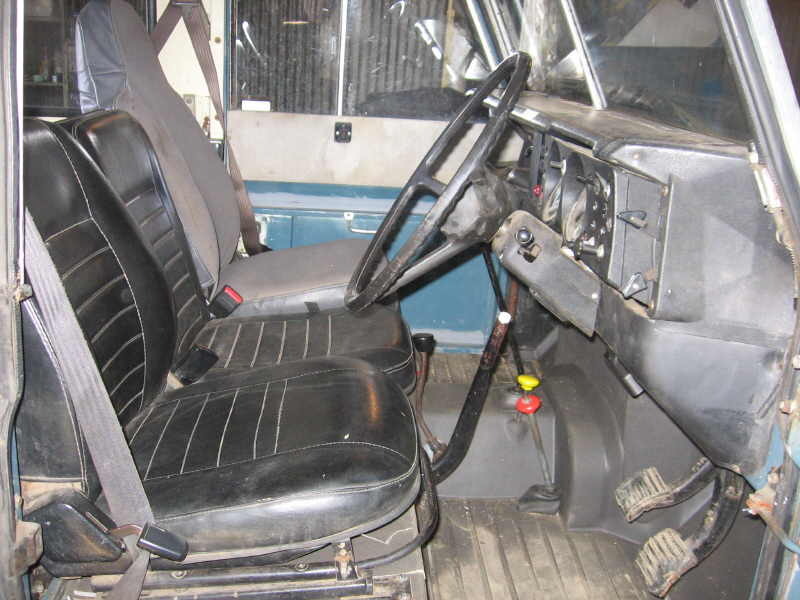 The Defender seat design actually appeared first on late model Series III 'County' vehicles in about 1981. A 'Fully loaded' Series III - acoustic floor mat, Defender seats, retracting seatbelts and overdrive. Retracting seat belts As fitted to late model Series III vehicles, inertia reel seatbelts can be retrofitted to almost all 'Series' Land Rovers. Especially useful on Series II and IIA models, where the switchgear is scattered across the centre dash, and almost impossible to reach while wearing a correctly adjusted static seatbelt. It is important to use the correct brackets and spreader plates - I have seen some horrific installations which would tear the mounts straight out of the body in a serious accident. Higher gearing All the 'Series' vehicles are undergeared for road use, with first gear being redundant unless you are stationary with a heavy trailer behind you on a steep hill. There are several ways in which you can raise the gearing for a more relaxed cruise (and better fuel economy). The cheapest but least satisfactory is to replace the 4.7 ratio differentials with 3.54 items. This increases the gearing by around 33%, but the speedo reading will then be out by the same amount, and the effectiveness of the handbrake is very much decreased. The low ratio gearing is also raised 33%, reducing off-road capability. And depending on how much power your engine is producing, you may run into problems due to the large ratio gap between 3rd and 4th gear. Increasing the overall gearing also increases the size of this gap. You end up screaming the engine in third gear, drop it into fourth and the power drops away. On long hills you are forever swapping between 3rd and 4th to maintain reasonable progress. High ratio diffs work well with V8s, turbodiesels (especially the TDi) or big old diesels like the Perkins 4.203. They are also fine in a short wheelbase with a good healthy 2.25 petrol engine. But for a tired petrol, or 2.25 diesel, or a long wheelbase (especially a Station Wagon) you may be disappointed. Also very popular is an overdrive unit - basically a two speed gearbox which bolts onto the back of the standard 4-speed box. When engaged this gives around 30% increase in gearing. The 'Fairey' (;ater Superwinch) overdrive is by far the most popular and widely available second hand, but has a couple of problems. The oil capacity is small, and many of these units have been damaged by overheating through running low on oil. It is not an especially robust unit, and can be broken through misuse (most commonly, using 1st and 2nd gear with the overdrive engaged). Parts availability is patchy, with some bearings currently unavailable. These overdrives can get very noisy when the bearings wear, and there are far more bad Faireys out there than good ones, making them a dubious second-hand purchase. You might come across a 'Toro' overdrive - a close copy of the Fairey, but with some small internal differences. They suffer the same problems as the Fairey unit, and parts supply is non-existent. If you are looking at an overdrive which looks like a Fairey but has no maker's name on it, it may be a Toro - so beware. More recently Rocky Mountain (a Canadian company) introduced the Roverdrive, an all-new design which uses the transfer box oil for lubrication. I have no personal experience of these units but have heard good things about them. Finally, conversion kits are available from Ashcroft Transmissions to raise the high range gearing in the transfer box. This gives a similar step up to the Fairey overdrive, but in all gears, all the time - so that 1st gear will finally get some use. Cost is quite reasonable (although there is a lot of labour required to fit one), and the conversion does not add any more moving parts to the drivetrain - so reliability should be good. Speedo accuracy and handbrake efficiency are not affected. But although low ratio gearing is the same as before, high ratio is raised in much the same way as fitting 3.54 differentials, so the same warnings apply. If you would like to know more about any of the above options, or want me to quote you to fit them to your Land Rover, please feel free to contact me.